Walpole, Mass. 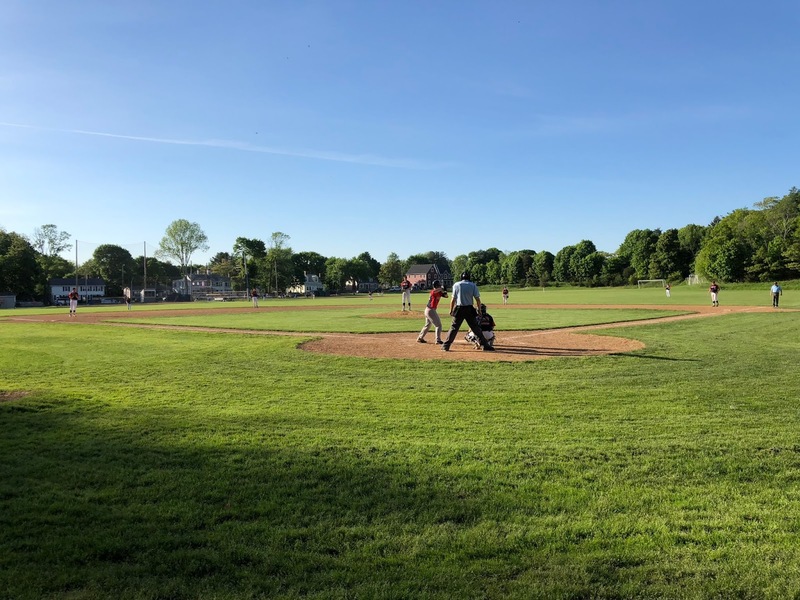 – As the postseason nears, one area Walpole certainly will not be fretting about is its starting staff. 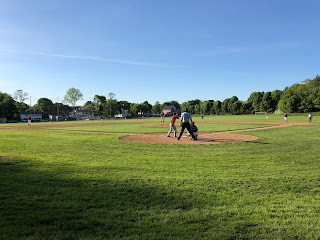 On Monday afternoon, Cam Schlittler turned in a dominant performance throwing a complete game allowing just one run on three hits while walking no one and striking out 10 as Walpole defeated Brookline, 5-1, in a Bay State Conference battle at Bird Middle School. Schlittler was perfect through five innings on just 53 pitches, but Warriors’ pinch hitter Josh Miyazawa broke up the bid with a line drive single to center field to begin the sixth. Miyazawa later scored in the inning on Noah Thomas’ RBI double for Brookline’s only run of the game. In all Walpole's (11-4, 7-1) ace in Schlittler threw just 80 pitches and has now reached double-digit strikeouts in consecutive starts. Earlier in the game it looked as though a classic pitchers duel would ensue as Brookline ace Silas Reed piled up four strikeouts through the first two innings. In the third, however, Walpole’s offense broke through giving Schlittler all the run support he needed. Matt Falvey reached on a two base error to begin the inning and scored on Dylan Hanifin’s RBI single through the middle to give Walpole a 1-0 lead. Two batters later, Tyler Page lofted a hanging curveball into center to make it 2-0 Walpole. Chris MaClean capped off the frame by lining an RBI single to right to make it 3-0 Walpole after three. The Warriors struck for a run in the top of the sixth on Thomas’ two out double, but Schlittler induced a groundout to shortstop to avoid further trouble. In the bottom half of the frame the Rebels responded tallying a pair of runs to put the game out reach. MaClean walked, advanced to second on a wild pitch, and came home to score on Jack Magane's single to increase the Rebels lead to 4-1. After Magane advanced to third on an error and a wild pitch, Ryan Boyagian brought him home on a ground ball to second to make it 5-1 Rebels after six. Schlittler allowed a two out single in the top half of the seventh but induced a groundout to finish off the complete game win. As the season enters its final 12 days, Walpole finds itself in the heart of the Super Eight discussion. One season after being in a similar position only to come up short, Costello believes his team has learned its lesson. "I think last year we fell into that trap (of looking ahead)," said Costello. "We were in a similar position at 11-3 and had Braintree and Newton North. We did not play our best in those games and I think learning from those experiences going forward its got to be just about the game in front of you."